Watch out human resources professionals! In the past, HR departments were necessary but nothing more. Nowadays they are not only gaining responsibility but are increasingly becoming an essential element for overall business success. In the years to come, disruptive modifications in both the labor market and organizational processes will revolutionize HR management policies and entirely shift the traditional HR paradigm. If you work in HR and your skills are not up to par, the digital revolution might soon cost you your job. First, digitalization has had a considerable influence on every aspect of how businesses are organized, including job descriptions and job roles. Increasing automation threatens low-skilled workers, but other professional functions are growing in importance and becoming permanent positions. However, this massive shift in skill requirements is putting companies’ recruiters under considerable pressure. Moreover, as operations become interconnected and affect various, if not all, business activities, companies are struggling to find individuals who are able to integrate information from multiple sources and deliver unique and precise responses. Therefore, having individuals with cross-functional knowledge has become critical. The problem confronting many companies is that hunting for qualified talents can be challenging. Moreover, primarily education and training programs are continually struggling to catch up with companies’ dynamic and rapidly increasing requirements. Demand for advanced skills in the labor market has never been higher. Social media have become essential tools for HR recruitment strategists seeking to find the perfect candidates for increasingly complex job roles within their organizations. Recent statistics reveal how commonplace HR’s usage of social media has become. 87% of HR recruiters use LinkedIn, while 55% turn to Facebook and 47% to Twitter to find high-quality candidates. Expect HR professionals to begin using even more powerful search tools based on these social media platforms in the future. Potential employees, on the other hand, also have an enormous amount of information about companies at their fingertips. This access to information has led to the growing importance of employer branding. Employer branding has now become a crucial part of core HR responsibilities that cannot be overlooked, and 80% of global leaders now acknowledge that employer branding has a significant impact on their ability to hire top talent. If your company does not have an attractive mission statement or clearly communicate online why it is a trailblazer in its industry along with receiving top ratings as an employer, the top candidates will most likely end up elsewhere. HR activities must also adapt to this changing landscape when it comes to internal matters. IoT and AI could improve communication and staff handling by automating HR tasks, especially in mid and large-sized companies. With the arrival of tech-savvy digital natives in the workforce, HR executives will need to integrate digital natives and new technologies into the organizational culture. This will, in turn, make companies more attractive in the eyes of this new and innovative generation of employees. Additionally, HR should focus specifically on fostering a culture of innovation by providing the right tools and working environment. Finally, digital tools can also play a crucial role in promoting organizational workshops and training. Employees should continuously upgrade their skills to remain highly competent experts in their fields. Of course, you cannot expect grown adults with families and established careers to pursue new degrees. Nevertheless, implementing innovative learning tools such as e-learning platforms, resource sharing systems in the cloud, or virtual classrooms have a significant impact on knowledge attainment. However, it is important that companies no longer invest in educational programs with a negative ROI. After all, mastery is one of the three factors, along with autonomy and purpose, listed by Dan Pink as the intrinsic motivators for employees in the digital age. Thus, you attract and retain the top talents by allowing your employees to strive towards mastery in their everyday work. 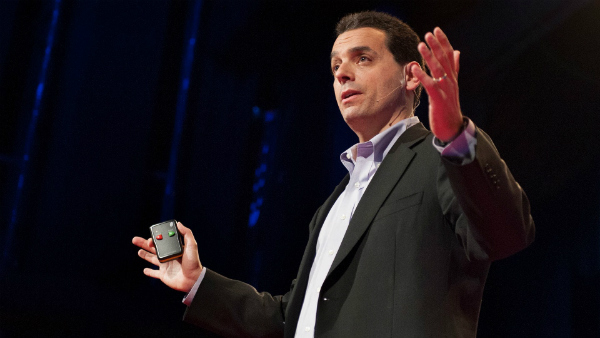 Dan Pink delivers a TED talk about what motivates workers in the digital age. 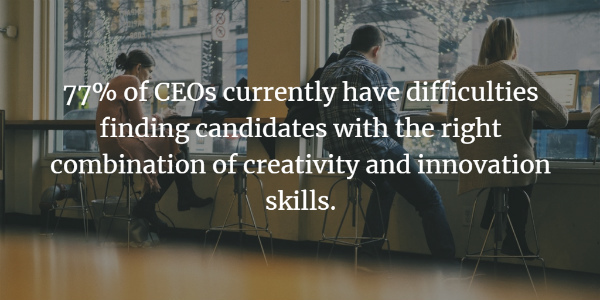 77% of CEOs currently have difficulties finding candidates with the right combination of creativity and innovation skills, and embracing these 5 digital trends in HR sooner will attract those candidates to your company. At first glance, the data paint a pessimistic picture for the future. Only 34% of CEOs feel that their HR departments are ready to take advantage of the digital revolution. On the other hand, the digitalization of HR could provide your company with enormous benefits. It will give your company a strategic advantage over your competitors while attracting, retaining, and upskilling the top talents. The digitalization experts at PDAgroup can provide you with concrete strategies to meet your specific HR challenges. Find out more here.